With our Verizon One Talk Mobile Case System, you can take the biggest part of your work desk with you for home office or traveling needs. The 3GStore Desk Phone Mobile Case for Verizon One Talk lets you treat any work site as if you’re sitting at your office desk. This complete mobile solution has a desk phone built in that will integrate perfectly into any One Talk system. It also contains an enterprise WiFi router with an embedded LTE modem so you can connect to your One Talk network while also broadcasting WiFi to nearby cell phones, tablets and laptops. 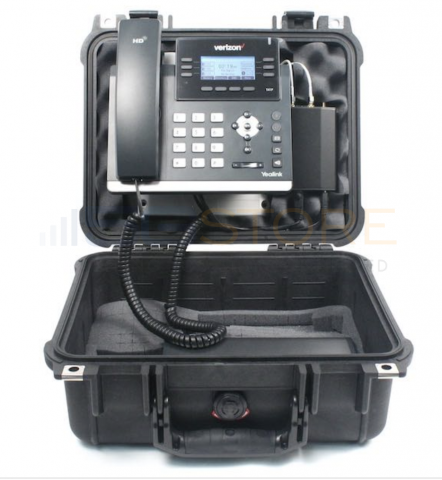 A traveling One Talk phone system is ideal for construction sites, first response teams, temporary job sites, conferences and other places that both need an internet connection and the full functionality of a desk phone. 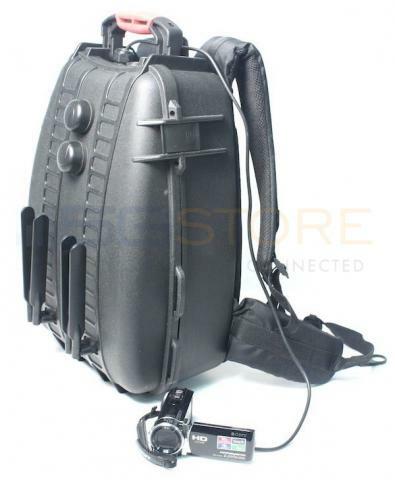 It includes both an AC power adapter and a battery that can provide up to 48 straight hours of use. 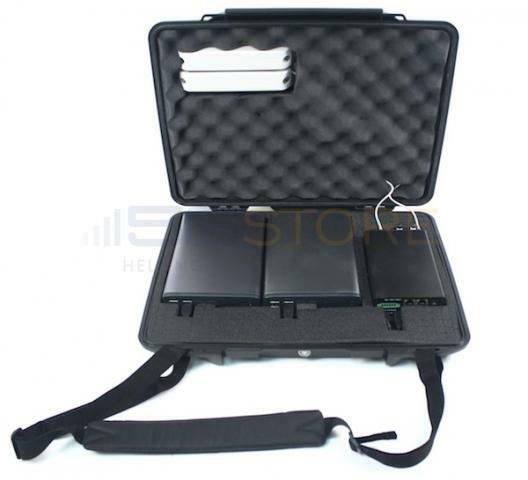 Everything is mounted in a hard shell waterproof case that is padded on the inside to prevent jostling and damage. Call the 3GStore customer service team or download the brochure below for more information. I like the small case format. The phone never stayed attached to the lid. You may want to consider placing in in the bottom section of the case. The demo kit was an excellent visual that is easy to set up and deploy. Perfect for first responders.